I recently realized while playing with a full band my mapex m birch has a really weak bass drum...volume wise it kinda fades out..my band made fun of me for hitting weak then they got on it and couldnt hear themselves either. 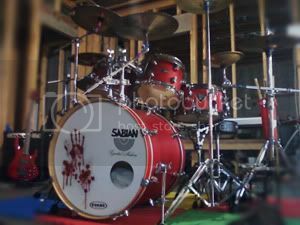 So besides the fact that my band plays too loud ...what should I do...im actually looking into getting an upgrade...perhaps ddrum. any advice? Do you have a pillow in your kick? If so remove it and put it where it belongs... on a bed. Thats exactly what my band told me. So I did, it made it slightly louder. But still weak? any solutions? How do you have it tuned? Is it tuned to have a wide open clear, undistorted sound? Also if you are using a felt beater if it has the wood or plastic backside try that for a little more volume. I would not be to worried about it tho because if you going to play live it will be mic'd and they can boost it if need be, which most novice sound engineers always boost the bass drum way too much. Also your bass drum might be loud but when you are playing with your band if your bass player has got his amp cranked like most of them tend to do its gonna drown everything out. You might want to look at different heads also. Could also just be how you play it. I tend to play heal up alot which gives me much more power. I seriously doubt it's the drum that's the problem. I played an 80's export kit for 20 yrs (particle board shells) and never had a volume problem. Maybe the band dosn't need to play at 11? I'm playing on a Yamaha Stage Custom at rehearsals for the new band I'm in. The first time I used it, which was last Wednesday, this was the comment from the band. "You know, every drummer we've brought in has complained about this set not having enough volume. I don't know what you did but, you sure as hell found the volume. They really cut now." What I did was tune the drums up from the their lowest possible note and draw the sound out of them instead of playing into them. 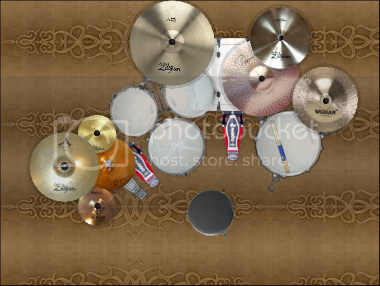 The drum's shell is only responsible for about 10% of the overall sound, the rest is head selection, tuning, and playing style. 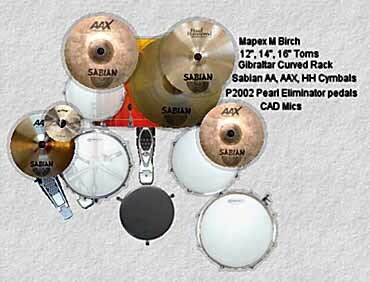 So, start with your head selection, examine how you're tuning, and work on not driving into your drums and cymbals. i have a 20x14 rogers big R bass drum that cuts through fine. what heads and how loose are they on that bass drum? wmpdrummer13 wrote: How do you have it tuned? Is it tuned to have a wide open clear, undistorted sound? Also if you are using a felt beater if it has the wood or plastic backside try that for a little more volume. I would not be to worried about it tho because if you going to play live it will be mic'd and they can boost it if need be, which most novice sound engineers always boost the bass drum way too much. Also your bass drum might be loud but when you are playing with your band if your bass player has got his amp cranked like most of them tend to do its gonna drown everything out.